What is Civil Axe Throwing? Whether you want to channel your inner lumber jack or just try out a fun and competitive hobby, axe throwing is a fun and unique sport that’s taking North America by storm. 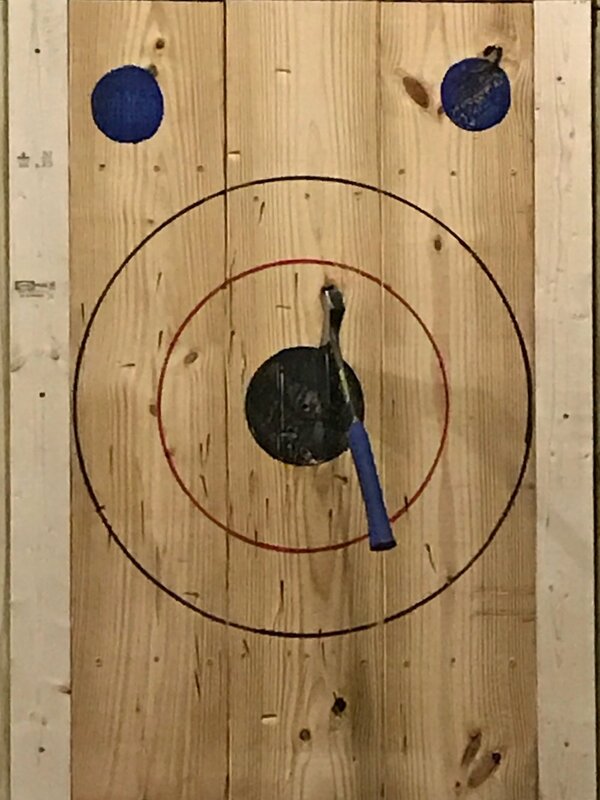 Axe throwing is easy to learn (kinda like throwing darts, but with axes! ), and everything is designed with your fun and safety in mind. It's a perfect way to celebrate a special occasion, organize a team building event or simply have a great time with family & friends!We have professional instructors to teach and facilitate your experience with us the entire time you’re here. Watch out - guys and girls alike, once you stick your first throw, you’ll be hooked! Throw an axe. Be awesome. Repeat! 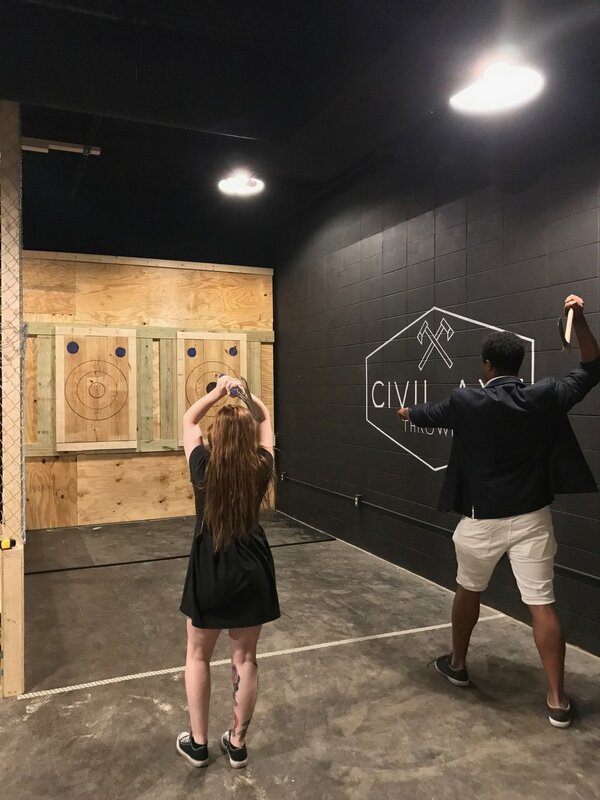 Get Civil with a one hour axe throwing session! You'll be amazed how fast time will fly by! You can purchase 1 - 8 tickets on the book now page of our website and throw for an hour. If you don't purchase all available tickets, you might be paired with someone else. But don't worry, throwing axes is a great way to meet new people! Our 8-week leagues allow you to sharpen your skills week after week against like-minded axe throwers. Sign up individually and make sure your friends do at the same time so you'll all get in! Group events are designed for 8 to 50 people and can last 1 - 2.5 hours, depending on how you would like to schedule. Perfect for birthday parties, corporate team-building events, bachelor/bachelorette parties, reunions or just a fun night out with friends. All experiences start with safety and instruction from one of our coaches before the fun begins. Email us for more info and pricing! Walk-ins are always welcome, but to ensure you have a spot upon arrival we recommend making a reservation online. throw an axe. be awesome. repeat.